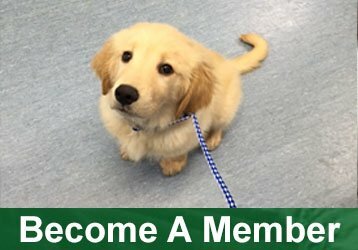 The mission of the NJVTA is to promote life-long learning for the veterinary healthcare team by providing professional development and continuing education opportunities; to promote quality, compassionate care to ensure the health and well being of all creatures, great and small; to continually strengthen the membership and grow professional relationships with other associations within the veterinary medical profession. • To be a voice of the association that represents you and your profession. • To share your experiences and connect with colleagues and comrades throughout the veterinary community. • To show your commitment to education as a veterinary paraprofessional. • To gain access to reduced registration rates for all NJVTA seminars/conferences and many other animal care organizations as well. Some are Free! • To stay informed. Our social media keeps you connected to news and events relevant to your interests. • The opportunity to pursue further certification as a Veterinary Technician Specialist (VTS) and/or a Veterinary Technologist (B.S. CVT). • Business and networking opportunities. Catapult your Career! • Reduced membership rates for NAVTA (National Association of Veterinary Technicians in America). • Career and success mentoring and counseling. • Opportunities to volunteer for the organization and/or for animal charity events. An individual who is a graduate from a two or four-year, American Veterinary Medical Association (AVMA) accredited Veterinary Technician or Veterinary Technology program and who has passed the Veterinary Technician National Exam, (VTNE) meets the requirements to apply for registration as a credentialed veterinary technician.